When it comes to Medicare coverage and options, it becomes rather confusing quite quickly. 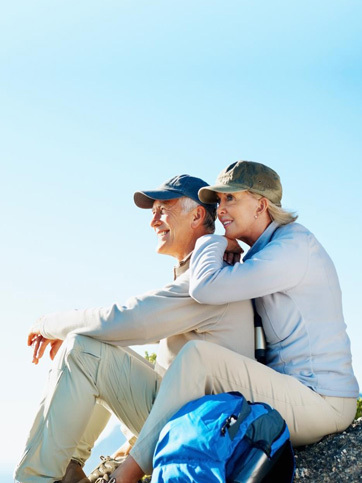 To get a better idea of the different types of options you have available, and the benefits that each can offer, we’ll compare Medicare Advantage, Medicare Supplemental and Original Medicare. This should help to give you at least a basic understanding of the differences of each, and it should provide some guidance as you continue your research to choosing the right plan for your health needs. Each of these types of programs is very different and has a different design scheme. Medicare Advantage makes use of private insurance companies as a means to provide care and coverage. Since they use private insurance, it allows the user to have far more options when it comes to the type of care he or she receives. Because they have different types of plans though, it becomes highly important to make sure that the plan you choose actually covers what you need. Some will cover things such as hearing, dental, and vision, which Original Medicare will not cover. The plans will often include Part D as well, which will offer prescription drug coverage, meaning you will not need to have an additional policy specifically for Part D.
Original Medicare coverage comes straight from Medicare and it will include Part A and Part B. Part A covers hospital insurance, and Part B is for medical insurance. Those who are a part of this plan will still be able to choose their doctors, hospitals and providers as long as they accept Medicare. The buyers will usually pay a monthly premium for Part B. When you have the Original Medicare, it is possible to add additional coverage, such as Part D. You could do this during the annual open enrollment. Medicare Supplemental insurance, sometimes called Medigap, is insurance from private companies that will help to pay the cost of certain health care needs that the Original Medicare plan will not cover, such as deductibles. They can also offer services that the other plan does not have the ability to offer. This is different from Medicare Advantage since you need to have Medicare Part A and Part B in order to use supplemental policies. Each of the options is quite different, and it is important to know what each is able to offer and how you can best use them to get all of the healthcare you actually need.